I'm guessing the name came from its white claws, but it seemed to know I spotted him, and stayed there like a statue for a few seconds. Just enough time to get a few shots before it scurried out of sight, dragging a seaweed snack into its nest down under. 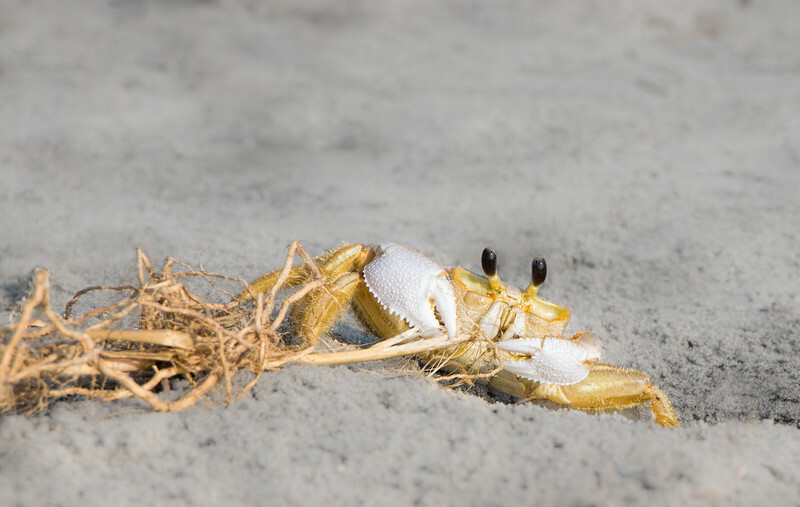 And the interesting thing about these guys, they can lie flat and bury themselves in the sand to hide from predators.